Overwatch League’s franchise New York Excelsior has revealed T-Mobile as the organization’s presenting partner for the current season. The organizations will work on brand awareness, local fan events, merchandise, and exclusive content. NYXL continues to develop local esports, which it believes to be under-represented in New York City. 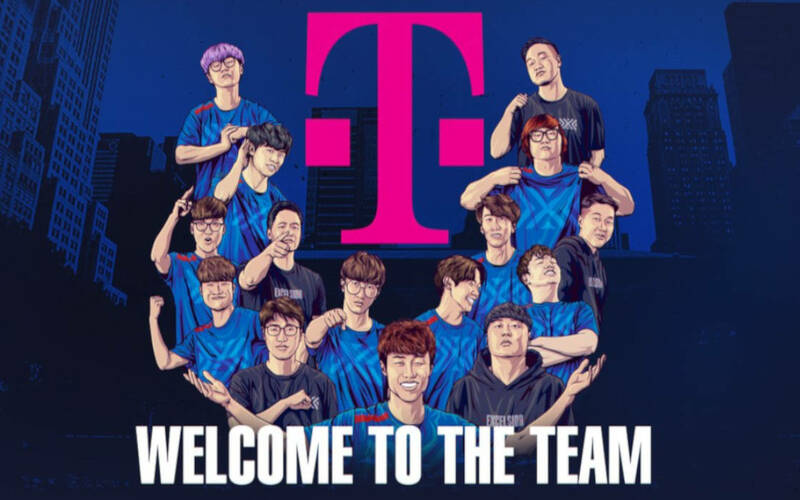 Telecoms company T-Mobile has become the latest presenting partner for renowned Overwatch League organization New York Excelsior (NYXL). The partnership will see the companies work on a number of joint initiatives, including custom content and merchandise. NXYL is committed to developing the local esports ecosystem, revealing new competitive opportunities for aspiring gamers from the city. As part of its tie-up with T-Mobile, the organization is going to host a number of fan-focused events. We’re excited to work alongside T-Mobile to implement creative and integrated strategies through NYXL matches, community events, content series and more that will continue our mission to grow esports in New York City and around the world. The organization already has a reputation for driving fan engagement as a priority and the brand has successfully captured the urban youth culture in their high-end merchandise. The beginning of OWL Season Two on Valentine’s Day marks a new cycle not only in terms of competitive prospects, but also in terms of opportunities to reach out to fans and incentivize the local esports community in New Yok City. Sterling.VC. -owned company had so far not have any official sponsors to display on the team’s jersey’s, with NYXL choosing to team up with established endemic and non-endemic brands, including Verizon and OMEN by HP. In a recent interview with Forbes, NYXL Head of Consumer Products and Merchandising Collette Gangemi confirmed that the organization is looking into ways to build a tighter local community in New York City. The LAN center and full gaming café with an eatery are already paying off. The goal is to offer fans a place for gaming as well as grabbing a quick bite as well as buy branded merchandise if they choose to. Ms. Gangemi also noted that fans were already returning time and again, with the largest crowd flocking down to the NYXL center on weekends. T-Mobile has become the official sponsor for New York Excelsior, the popular Overwatch League franchise. The companies will promote their respective brands.